How to Quit Your Job Like a Boss looks a the the imaginative and bizarre ways a few employees chose to say “I quit”, some of which went viral! 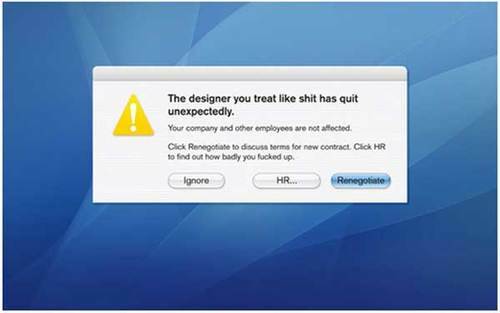 No one knows quite where this pop-up sprung from, but web rumour has it it was found on a company computer after it was handed back to the I.T. department. Apparently, it was created by a disgruntled temp who’d been led to believe that they’d get to stay on permanently. It ended up on Reddit and the rest is history. A bright idea, but with language like that, unlikely to lead to more offers of employment, even if the culprit wasn’t anonymous. One of the biggest viral hits of 2013, Marina Shifrin’s ‘interpretive dance’ video showed her busting some dubious moves to Kanye West’sGone in the offices of the video production company where she worked. A few days later, the 25-year-old was offered a job by Queen Latifah when she appeared on her talk show. With almost 17.5 million Youtube Hits and over 10k Twitter followers, we bet that’s not the only job offer the ‘aspiring writer’ has had. Everyone knows that Glastonbury makes people lose their inhibitions and feel totally free, but who would have thought the world’s biggest music festival could inspire an MP to quit their job? 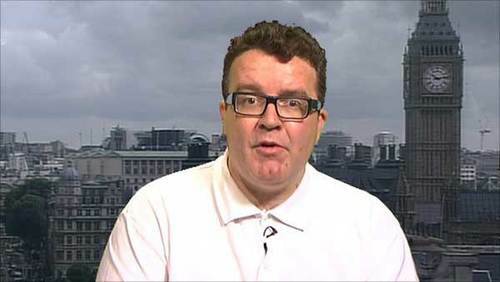 After the 2013 festival, Labour’s General Election Co-ordinator, Tom Watson, wrote an open resignation letter to Ed Milliband – and posted it online. In it, he advised the party leader to try to pursue a ‘real life’ alongside his political career, before recommending he sought out Drenge, his favourite act from the weekend. Here’s an extract of the letter.. “John Humphrys asked me why you were not at Glastonbury this weekend. I said Labour leaders can’t be seen standing in muddy fields listening to bands…And then I thought how terribly sad that this is true. So: be that great Labour leader that you can be, but try to have a real life too. 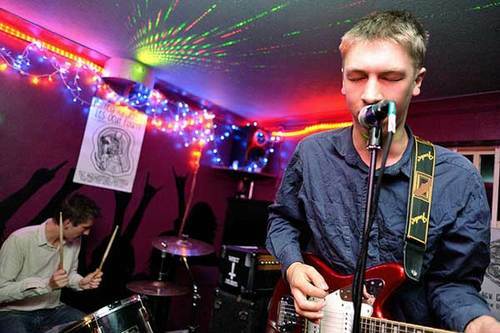 And if you want to see an awesome band, I recommend Drenge.” Derbyshire lads Drenge’s discography includes tracks such as ‘I Want To Break You in Half’, ‘Bloodsports’, ‘Dogmeat’ and ‘Face Like a Skull’. Wonder if Ed’s now a fan? If Watson’s resignation didn’t boost Watson’s career, it certainly did Drenge a few favours. Consumer Product Director Kevin Nalty worked for top US company Merck Pharmaceuticals – until his Youtube channel became a hit. 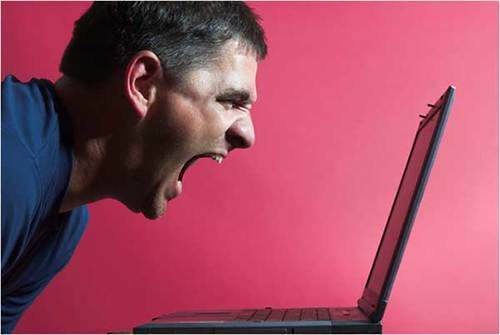 Under his comedy alias “Nalts”, Kevin received 7.4 million views of the very serious sounding video, “Farting in Public”. Realising his vocation and inspired by a performance on the previous night’s episode of American Idol, he posted this video, revealing an inspirational message scrawled on his torso. This guy handed over his letter with a smile, dropped the letter on the floor, and left followed by a marching band. 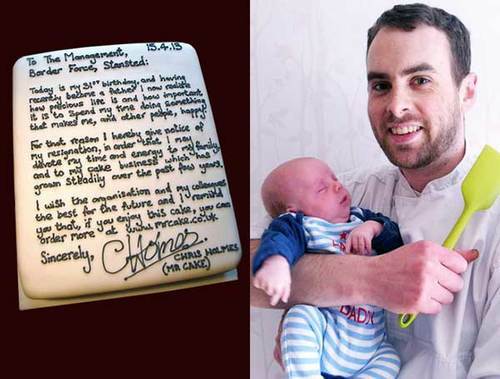 We could be wrong, but we don’t think this unique resignation will have brought in more job offers. After using the Star Trekcredits to tell his colleagues he’s thought of bedding them all, this wacky worker goes on to do a naked dance with a clown’s face covering his modesty. It looks like he’s used green screen to superimpose himself and his “perfect body” into the office setting. 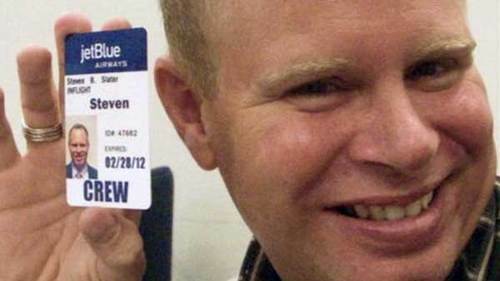 Wow, we all wish we could work with that guy. Diners at this fast food restaurant got free entertainment with their burgers when this guy, apparently the boss, jumped on the counter and started dancing to Vanilla Ice’s rap hit Ice Ice Baby, whilst sporting a t-shirt emblazoned with the slogan ‘I QUIT’. Did no one tell him that he was breaking some serious health and safety rules? Oh wait, it’s not like he could get sacked. If you work for a gaming company, doing anything less than producing a dedicated retro platform game to announce your resignation is just rubbish. 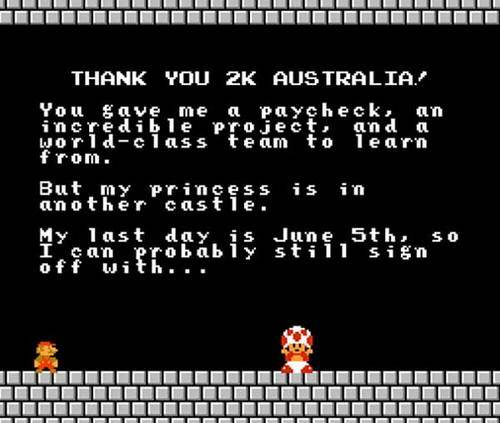 Mr Jarrad left gaming company Australia 2K with the help of Super Mario, drawing plenty of attention to his skills and setting the bar for quitting games developers of the future. If you fancy a go, you can find his game here.